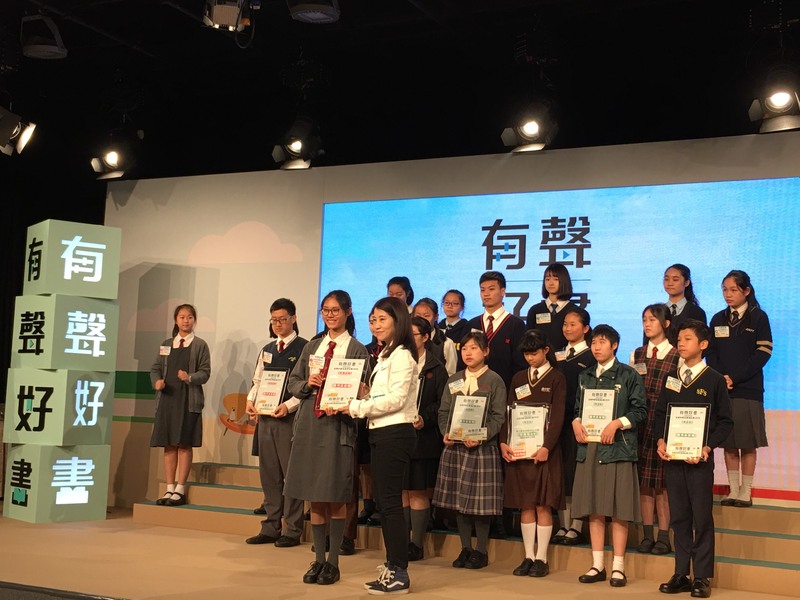 The representative of RTHK presenting the souvenir to the students in the final. 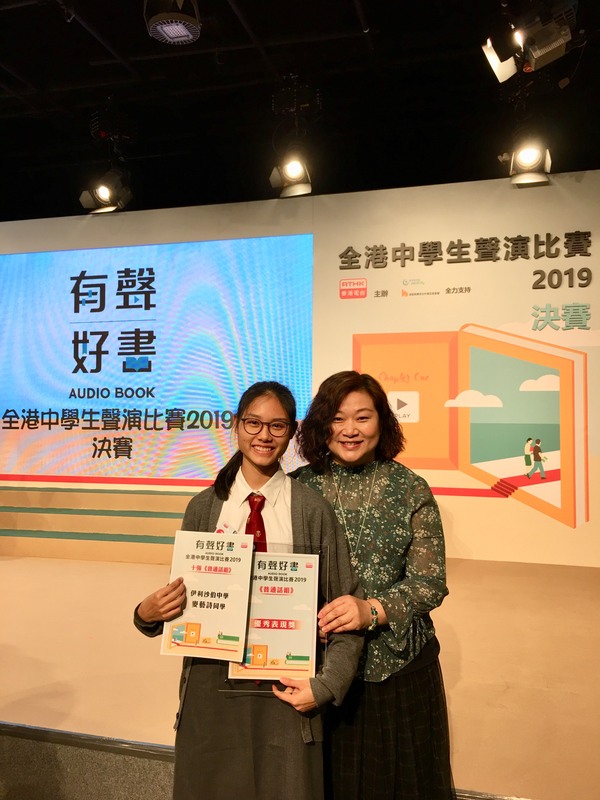 12th January was the final of the “Audio Book Competition 2019” held by RTHK. This was a valuable opportunity for me to learn not only from the sharing of experienced professionals in the field, but also from excellent performances of other competitors. They performed with captivating voices and strong affection, which really helped people dive into the scenarios in the books. Also, I would like to thank Ms Choi for putting so much effort in training me. Without her useful advice, I wouldn't be able to get through this competition. Lastly, I am looking forward to similar activities in the future so that more students can experience the power of their voices.